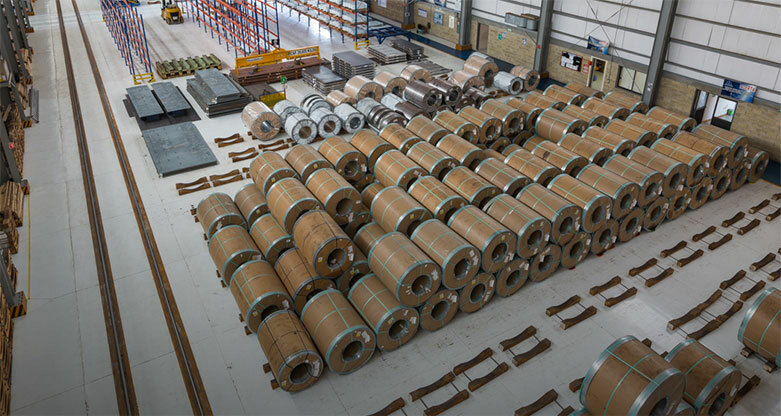 With our business model, we can identify our customers’ needs and offer them a tailor-made solution, combining steel-processing, storage, and complete supply-chain management services, allowing our customers to maintain ownership of their materials throughout the process until delivery at the final destination. Our value-added services enable steel and aluminum mills, service centers, distributors, stampers, and original-equipment manufacturers to find in Acero Prime a competitive advantage allowing them to serve their markets more effectively and efficiently in Mexico’s most demanding industry. We have high-precision processing equipment for slitting and multi-blanking, which allows us to meet our customers’ needs. Thickness range from 0.015” to 0.334”, up to 72” wide and up to 32 net tons weight. 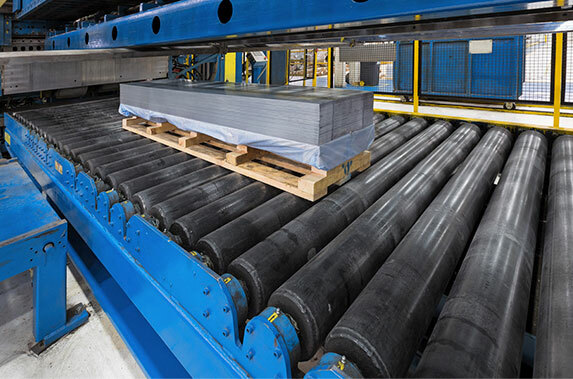 Cutting capabilities for hot-rolled and hot-rolled pickled and oiled, cold-rolled, coated (galvanized, electrogalvanized, pre-painted), critical and regular surface steel. Stainless steel, electrical steel, aluminum and ultra-high-strength steel. Thickness range from 0.015” to 0.250”, up to 72” wide, and up to 32 net tons weight. 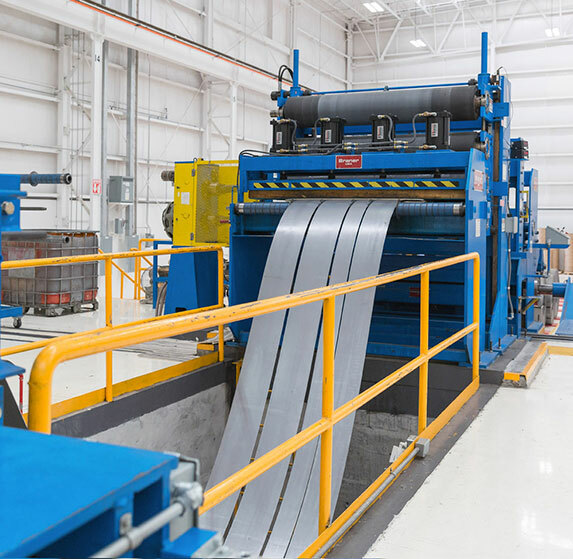 Cutting capabilities for hot-rolled pickled and oiled, cold-rolled, coated (galvanized, electrogalvanized, pre-painted), critical and regular surface steel. Stainless steel, electric steel, aluminum and ultra-high-strength steel. Thickness range from 0.020” to 0.250”, up to 72” wide, and up to 32 net tons weight. Thickness range from 0.015” to 0.250”, up to 72” wide, up to 240” length, and up to 32 net tons weight. Up to four sheets per master width, with PVC applicator. 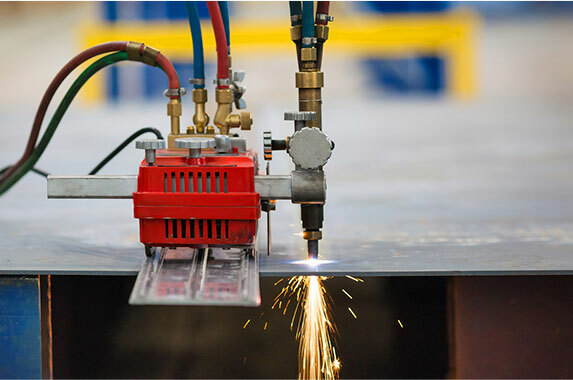 Cutting capabilities for hot-rolled pickled and oiled, cold-rolled, coated (galvanized, electrogalvanized, pre-painted), critical and regular surface steel. Stainless steel, electric steel, aluminum and high-strength steel. Thickness range from 0.11” to 4”, up to 98” wide and up to 275” length. Cutting capability for commercial steel plates and steel with Brinell Hardness of 600, 550, 500, or 450; ballistics-grade plate. 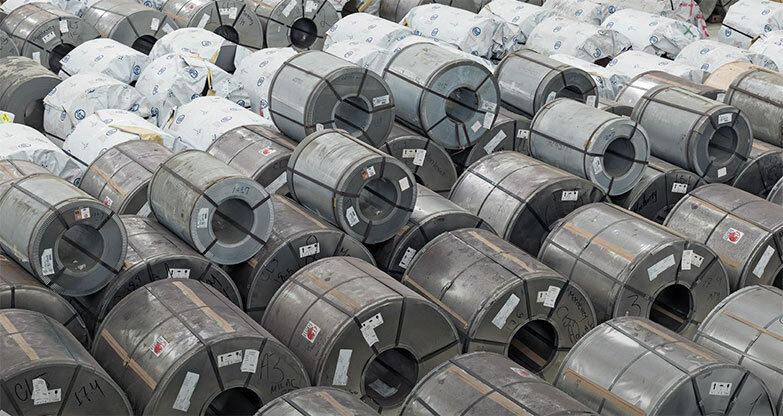 We offer storage services for several products, such as steel and aluminum coils, plates, sheets, bars, and tubes, ensuring safekeeping for the materials. Storage capacity up to 47,400 net tons on a covered area of 126,000 sq. ft.
Four overhead cranes to handle coils up to 35 net tons. Ample rail spur with unloading capacity for 18 cars per day. Storage capacity up to 64,000 net tons on a covered area of 206,000 sq. 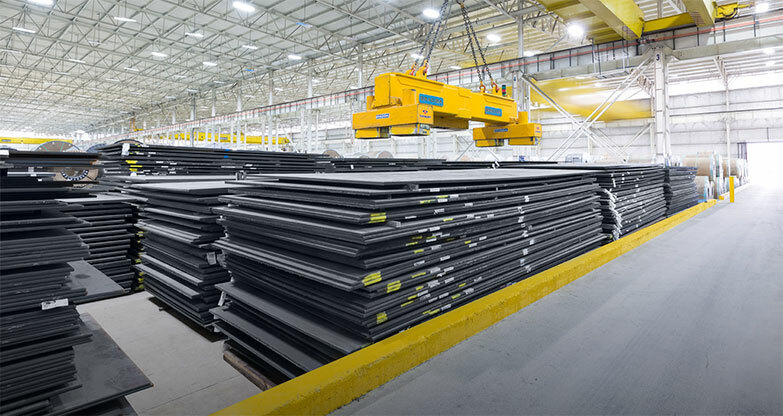 ft.
Six overhead cranes to handle coils up to 33 net tons. Stationary electromagnet for steel plate handling with a maximum capacity of 7 net tons. Ample rail spur with unloading capacity for 9 cars per day. Storage capacity up to 15,000 net tons on a covered area of 44,200 sq. 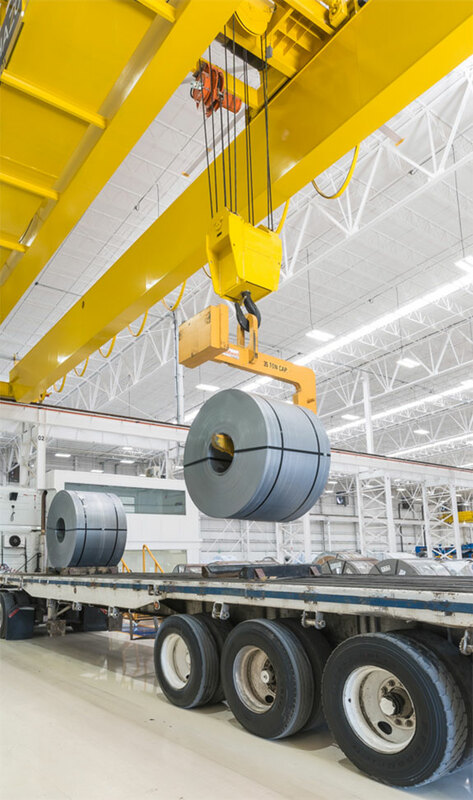 ft.
One overhead crane to handle coils up to 33 net tons. Ample rail spur with unloading capacity for 8 cars per day. Storage capacity up to 28,600 net tons on a covered area of 86,000 sq. ft.
Two overhead cranes to handle coils up to 33 net tons. The integration of value-added services we offer results in a complete supply-chain management system, which allow us to ensure that the materials will arrive at the right place and at the right time. Port maneuvers, vessel unloading, supervising, devanning, segregation, and storage operations in the country’s main ports. 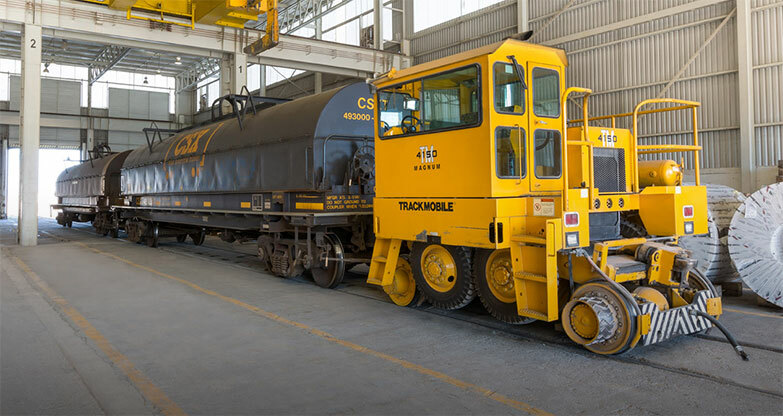 Ample rail spurs in plants; railcar unloading operations for truck loading. Electronic Data Interchange (EDI) information system to facilitate sending and receiving commercial documents such as invoices, purchase orders, and Advanced Shipping Notice (ASN), etc. Real-time inventory, production, and shipping reports. Foreign trade services and access to Temporary Import programs with preferential tariffs. Disposal of obsolete and secondary materials.